Senior High is the ultimate camp experience. Guests know what they like, and they make their own schedule as wild or relaxing as they want. Whether they hang out at the beach with new friends, focus on taking their athletics skills to the next level, or try out fashion design and digital photography, it’s bound to be unforgettable. In the evening, guests bond with their cabin as they try to win the Kamati Cup or race around during phenomenal camp-wide games. Fun is the name of the game in Senior High! Senior High guests design their own schedule, choosing from the activities that best suit their individual interests and abilities. There’s lots of free time to hang out with friends, relax and go to the Camp Store. In the evening, Senior High comes together as a section to make Instagram-worthy memories. At Convo Cafe, they will get to know their counsellor and cabin better as they talk with one another about what they believe. Then, it’s time for bed, so you can be ready for the next day of fun! Senior High guests get to customize their activity schedule and fill six periods with any awesome activities they wish. Please investigate all options for Senior High guests from our menu of 1-hour, 2-hour (Fanatic), 3-hour (Split) and 6-hour (All-Day) activities. This year will be the biggest, most epic week of Classic yet. In the past we’ve danced on the Titanic, stopped the Zombie apocalypse, and explored Disney’s Magic Kingdom. What’s in store for Summer 2019? You’ll need to be there to find out! Throughout the week, you’ll hang out with tons of new friends from around the world and spend your evenings blown away by concerts, events and surprises, just for you. The Classic schedule is designed to give you more time to chill with your friends. Your mornings are filled with your customized activity schedule. In the afternoon, you get to hang out with hundreds of Senior High guests, and participate in special, camp-wide activities designed specifically for Classic, including tournaments, beach parties and lots of surprises. 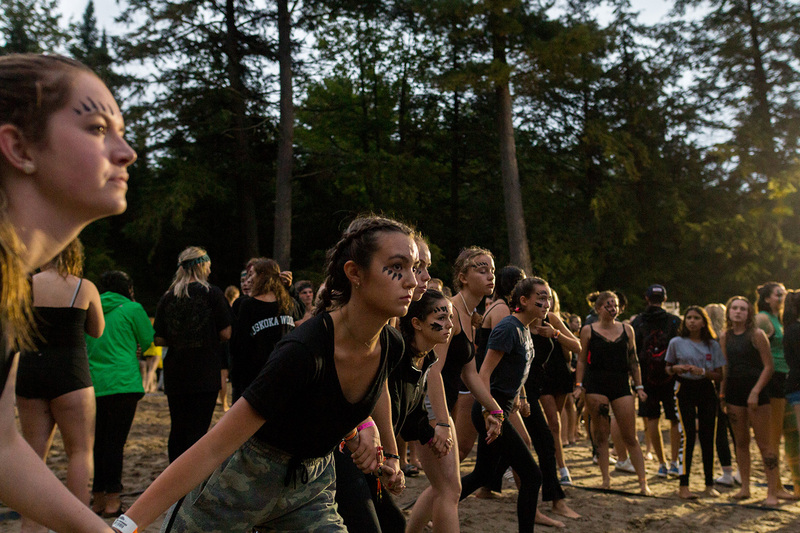 You will also take part in some of the best skills Muskoka Woods has to offer: tubing, the KrakenRACER waterslide, paintball, sailing and our ropes course. You can spend the afternoon at one activity, or go to three different activities. The choice is yours! Competition is fierce at Classic. It starts with Kamati, a Senior High staple, on Saturday night. The stakes are higher, the competition is intense and we play under the lights until there is one cabin standing. Throughout the week, we’re always giving out prizes for top cabins, competing in daily challenges, with the ultimate goal of winning Cabin of the Week. THE BEST WAY TO FINISH YOUR SUMMER!